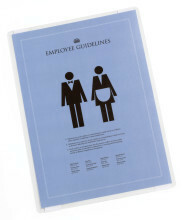 Transparent self-laminating cards for protecting documments against unnecessary damage or dirt. Ideal for lamination of business cards, ID cards, photos, menues etc. without the need for a laminating machine. Transparent self-laminating cards for protecting against unnecessary damage or dirt. Ideal for quick lamination of business-cards, ID passes or photos up to 54 x 90 mm. Transparent self-laminating cards for protecting against unnecessary damage or dirt. 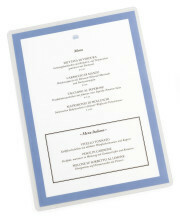 Ideal for quick lamination of A4 documents like menues or operating instructions. No laminating machine required.